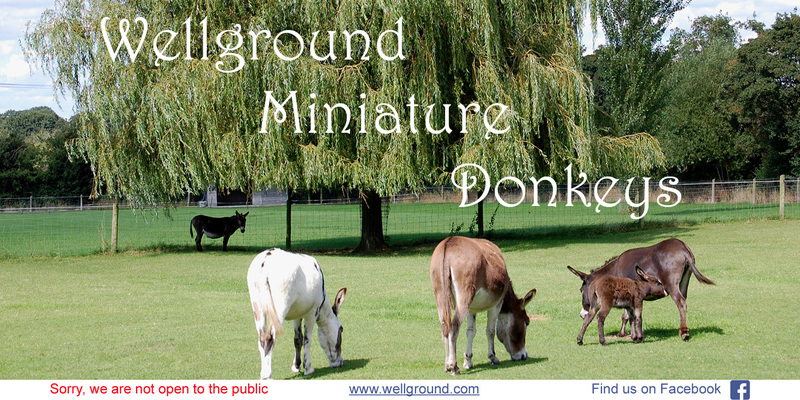 Miniature Donkeys for sale in the UK - Wellground Miniature Donkeys. 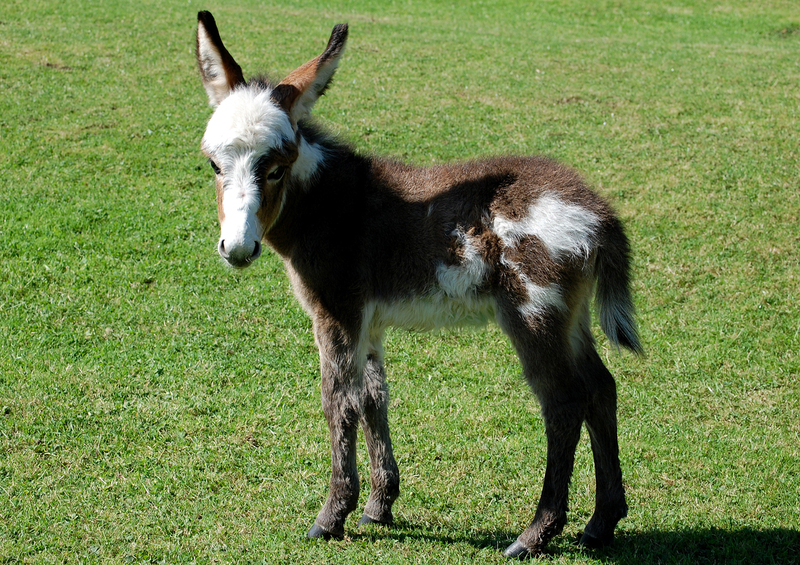 We occasionally have high quality miniature donkeys for sale. 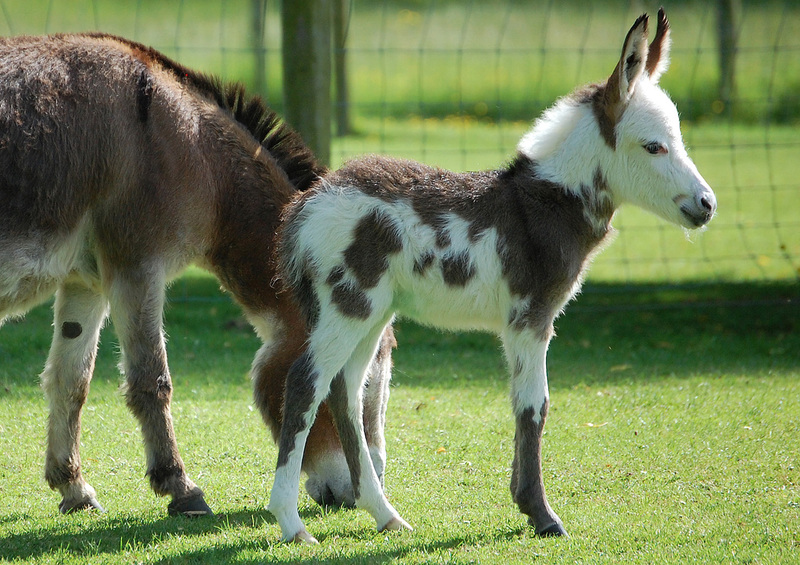 We offer for sale beautiful young Miniature Donkeys, bred from our own core herd of breeding miniature donkeys. Important. The welfare of our donkeys is paramount, therefore before any donkey is released for sale, the prospective new owner and their facilities will be vetted and verified for suitability to properly care for these wonderful animals. Donkeys need to be kept with other donkeys. Horses and ponies will not suffice. They need the company of their own type. We will NEVER sell a donkey to live alone, or without another donkey for company. All of our Donkeys will come with the support and back-up that the new owner and the donkeys concerned deserve to receive. At Wellground Farm, donkey welfare is paramount. Ongoing support and advice will always be available to support the new owner and the donkey. Mandatory Equine Passport, issued by the Donkey Breed Society. All vaccinations will be up to date and the donkeys will be in a current worming programme for internal parasite control. Donkeys for sale will be micro-chipped. Donkeys will have a Pedigree Certificate issued by the Miniature Mediterranean Donkey Association in the UK. This certificate will show at least 3 generations of ancestors. Donkeys will come with computer printout from our herd software. This will include a full history of their vaccinations and any medications prescribed throughout their time at Wellground. This printout will include a record of their regular hoof trimming. It will also include a calendar reminder of any future vaccinations, worming and hoof trimming and the date those issues will need addressing. The genetics of our donkeys are very important to us. Their ancestors are all renowned for their quality. 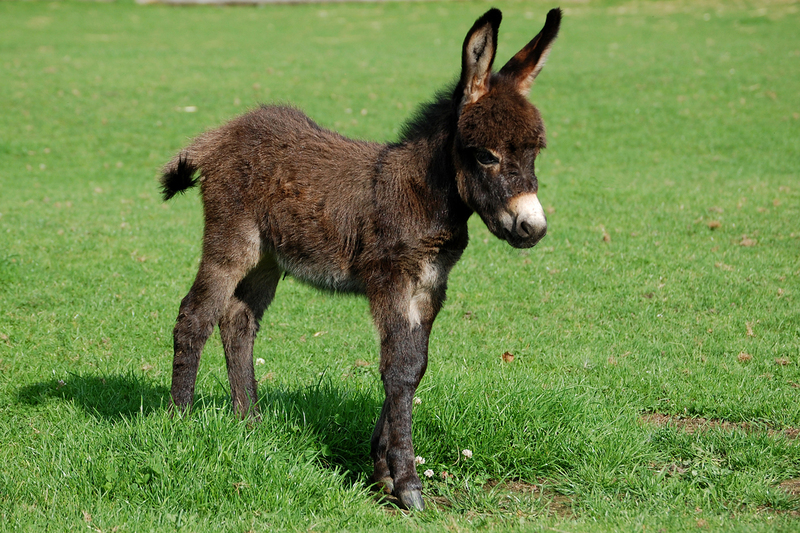 As a result, the full pedigree history will offer the new owner reassurance that their new miniature donkey is bred from high quality breeding stock. Sundance Kid is a colt foal, he was born at Wellground on the 2nd of June 2018. He has elite American genetics. His sire is KiTerra's Outlaw. His dam is Boothby Bumbles. Rumour is a filly foal, she was born at Wellground in 2017, she has elite American genetics. She will be available after weaning in March 2018. Her sire is Kiterra's Outlaw. Her dam is Wynnfield Anastasia. River is a little colt foal, he was born at Wellground in 2017, he has elite American genetics. He will be available after weaning in March 2018. His dam is Wynnfield Zara.